Chilean soccer legend Marcelo Salas was dubbed the El Matador due to his athletic aerial abilities of scoring goals and the celebratory style which followed after scoring every point. Salas was incredibly famous and made a successful transition from South American to European football – even if some Premier League Clubs like Manchester United and Tottenham did double takes on his fee quote. Salas was considered to be THE striking for of the Chilean soccer side and truly one of the best. Now retired Salas has played for his native Chile along with playing for Argentina and Italy winning titles for all and in 1997 was awarded with the South American Footballer of the Year award. To this day he remains the Chilean national team’s all time top goal scorer. Jose Marcelo Salas Melinao was born in 1974 in Temuco, Chile. Salas joined the Deportes Temuco’s youth team from where he shifted to the Universidad de Chile making his debut as a player for them in 1993. By 1994 and 1995 Salas’s goal scoring abilities had won his team two back to back titles. Within a few more years Salas made a move to Argentina playing for their River Plate team – a move which received much criticism as no non Argentinean player had yet to make a strong impact on the team. Salas’s talents quickly changed this perception as within a span of just two years he scored 26 goals in 51 matches and guided his River Plate team to four titles. These remarkable achievements not only silenced the critics but he carved a legacy for himself in Argentina as one of the greatest foreign born players and was referred to as El shileno Salas. Salas’s style was noted for his composure, acceleration and shooting accuracy. He was a powerful and persistent forward with a very good technique and almost air borne abilities. Salas’s partnering with Ivan Zamorano in 1990 is regarded as the best Chilean striker duo of all time. Salas represented the Chilean team in the 1998 Football World Cup where he scored four goals in four matches and was awarded with the Bronze Shoe award. He made a memorable impact in London where he played England’s team and scored to legendary goals which included an inspiring volley. Due to the strength of his performances in the World Cup and Argentina he finally arrived in Europe to join the Lazio team for a reported £12 million deal. During his seven years in Italy Salas won his teams nine trophies in total, six with Lazio and then three with his team Juventus. Soon injuries started claiming his health and he moved back to South America to join River Plate again. Injuries began to plague him deeply for the remainder of his career and he eventually retired from football in 2009. 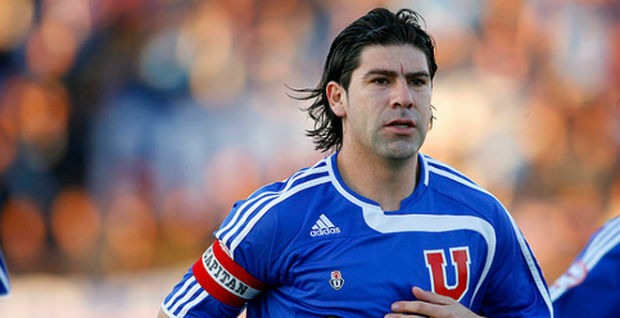 Today Marcelo Salas is regarded as a legend and considered to be one of Chile’s top 15 football players of all times. He is still famously referred to as the ‘’matador’’, with young guns like Alexis Sanchez citing Salas as their biggest inspiration.